7 official tips by Battery experts for great battery maintenance during Summer. As the temperatures are rising in Dubai, it won’t be a surprise if you wake up to a dead car battery in the morning, even if you had parked the car in good working condition the previous night. Rising temperatures during Summer are detrimental to the battery, adding to the heat from the engine. Batteries tend to discharge faster during summer than in winter. In fact, the average life span of a Battery in hotter climatic conditions is just 30 months compared to its 51 months life span in colder climatic conditions. Hence, it is imperative that the battery is well maintained and taken regular care to avoid any inconvenience to you. ZDegree is leading in providing Mobile battery services through its mobile garage. Providing the best car battery maintenance services along with car battery replacement services in Dubai, UAE. Here are 7 Battery care tips from official experts on maintaining good Battery health. 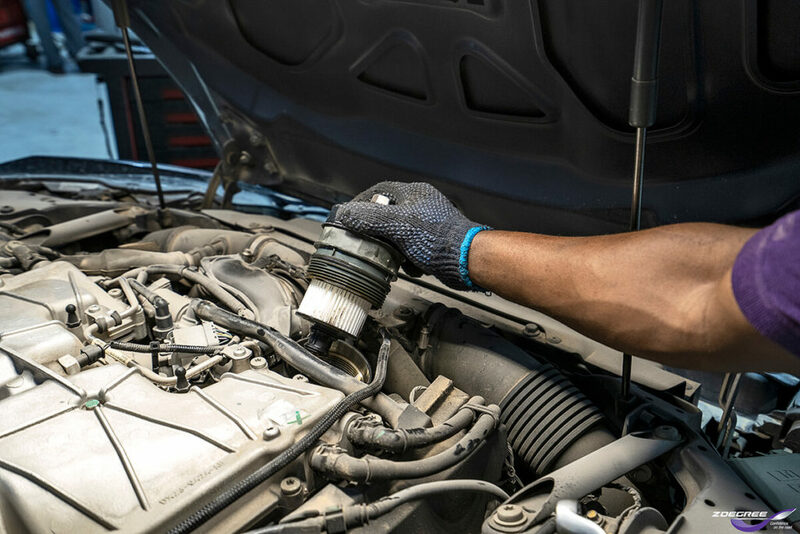 Check the Battery fluid level – During summer days the fluid gets easily evaporated in the battery, thereby discharging more quickly than usual. So, make sure you get the level checked and if possible, refill it with good distilled water yourself. If not you can always bring you car along to the nearest ZDegree facilities for a quick top-up and recharge for the battery. 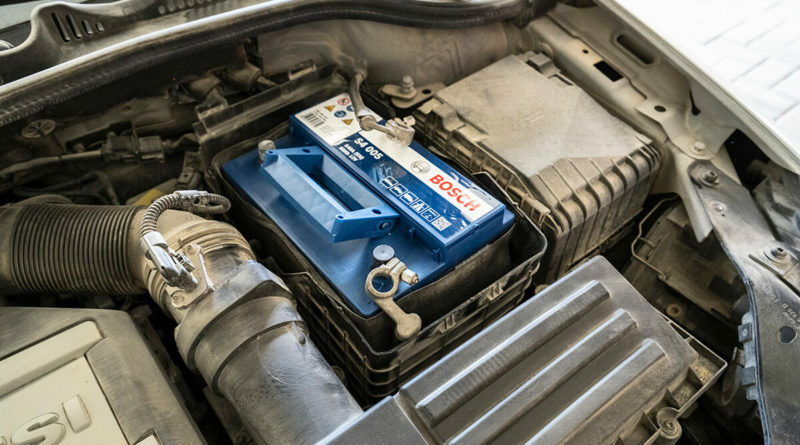 Check for corrosion deposits around the terminals – This is the basics in battery maintenance. The terminals of the battery get corroded over time and might have deposit build up over them. This leads to less than optimum performance by the battery as the terminals are not well connected. This even leads to improper charging and discharging cycles. An easy tip for cleaning the deposit is to use baking soda with water to scrub away the deposits. You could even smear the terminals with some petroleum jelly. It not only reduces mineral deposition on terminals but also helps to conduct electricity more efficiently. Try to keep the heat at bay – Best to avoid the blazing sun from evaporating all the fluids in the battery is to park it in the shade or within a covered garage. Giving the car some respite from the hot sun. You could even try individually insulating the battery under the hood. Avoid going on short drives often – Short drives with frequent stops do not give enough time for the alternator to do its job, that is to recharge the battery. Short drives put a strain on the battery, as the electronics – GPS, lights, console all need powering but the engine hasn’t been running long enough for the alternator to kick in to do its work. Hence, it is suggested to go for drives that give enough time for the alternator to charge up the battery again. Try not to leave your car unused for long – Leaving a car unused for a prolonged period of time is bad for many systems and parts of the car. From tyres to the battery, care has to be taken to keep them in good condition. Batteries when left unused, tend to discharge on their own. This is called self-discharging. One way to avoid this is to, let your engine run in the parked position. This activates the drive belt initiating the alternator to charge the battery. Another method is to use an external battery charger. Less use of car electronics when the engine is not running – It’s the battery that supplies power to the car’s electronics, lamps, central lock and power windows, music console etc. But just using these electronics in parked position without the engine running drains out the battery quickly. Check if the batter is fastened tightly – Ill-fitted battery will get damaged due to the vibrations of the car. Ensure you use standard battery clamps to fasten the battery. Excessive vibrations from the car damage the internal components of the battery leading to short circuits and reduced battery life. Following this checkpoints/tips will help you to ascertain the health of your battery and be on the lookout for any impending issues. Sometimes, the car’s battery has expired and is beyond salvageable. Then the only option left is to replace it. ZDegree’s state of the art facility includes a mobile garage equipped for car battery maintenance services. Just one call to 800 933 4733, will bring their mobile garage to your doorstep. You could choose a new battery amongst the many affordable and top branded batteries for replacement. ZDegree is the leading service provider in car battery maintenance services and car battery replacement services in Dubai, UAE. ← Zdegree’s Car Recovery Services in Dubai – Count On Us, Always!